So, what are we actually doing here? 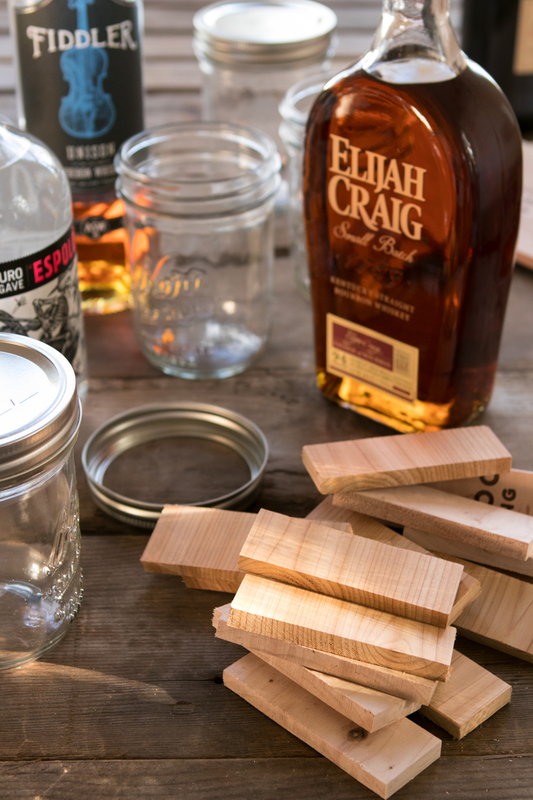 We're infusing spirits with wood. Of course, unlike spices, citrus, and other things commonly used to flavor alcohol, we don't actually eat wood. And that's what makes it so cool. While you can easily add lemon zest or a clove-infused syrup to your cocktail, there's no other way to get these flavors into your glass. During contact time, the spirits will pick up color and flavor compounds from the wood, as vice versa. As anyone who's ever used a saw or cooked over an open flame, wood is highly aromatic, and produces a nice, rounded flavor and a definite improvement to smoothness. 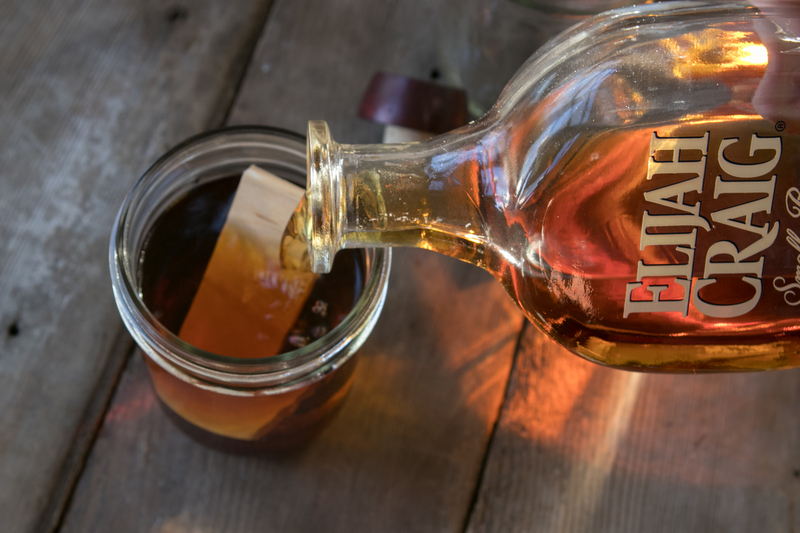 Of course, many spirits like whiskey, brandy, and aged rum (as well as some wines and beer) have already spent some time with wood, typically oak, when they were in the barrel. That's how they ended up brown in the first place. But barrels are charred, and that produces vanillins that taste of...well, charred oak. By using un-blackened wood and opting for species other than white oak, we can create all kinds of different flavor combinations. 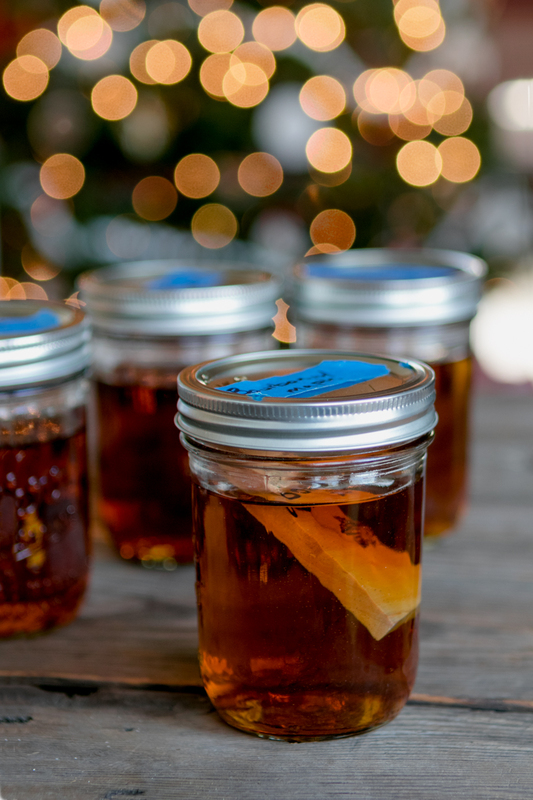 Of course, you can do this with a large sun tea jar or food storage container and just dump a whole bottle in with a plank, but we're making these in 6 oz portions in mason jars so we end up with more gifts and flavor combos. You can use anything you want here. If you have some bits of hardwood from a reliable mill and you know they haven't been treated with any chemicals, those will work just great. Since a lot of ManMade readers are woodworkers, just raid your scrap pile. Think anything commonly used for smoking: maple, hickory, oak, cherry, apple, cedar, alder, etc. You want to avoid anything that's toxic or tastes weird: pine, fir, walnut, and some tropical woods. 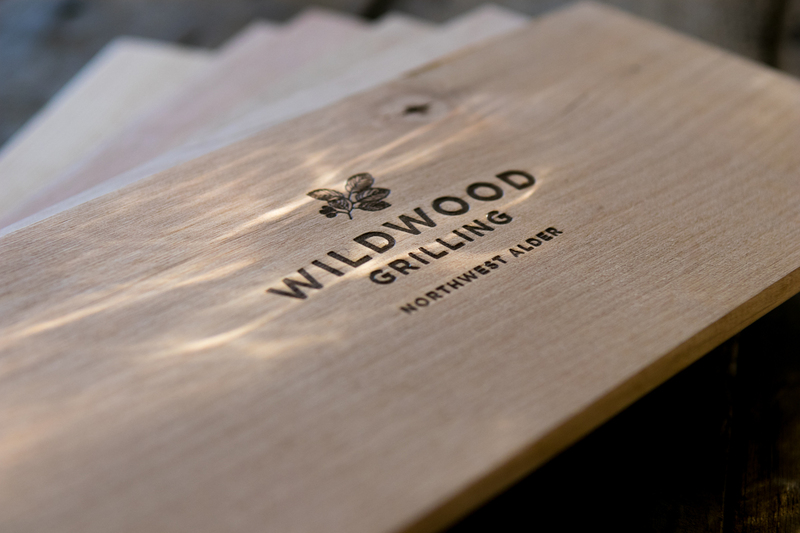 The easiest way to come by small pieces of wood in a variety of species is to get a pack of grilling planks. This pack of six from Amazon is a great deal: they're reasonably priced, solid quality, and the perfect size and thickness. We recommend. 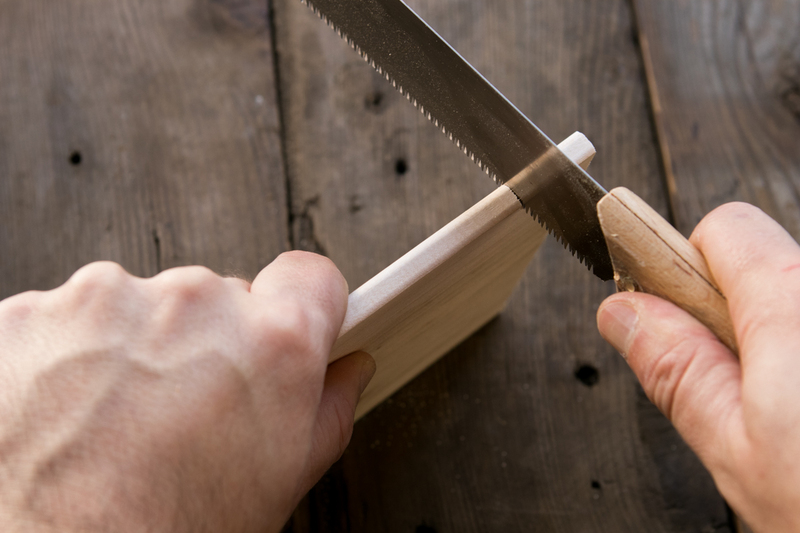 Depending on your container and storage plans, you'll probably need to cut the wood to size. This is quick work with a small hand saw. Anything from the hardware store will do, or you can pick up a simple coping saw online. Gather the rest of your materials. Here's the best part: you don't have to use super high-quality stuff here. You could totally get away with a $12 bottle of bourbon or a $17 bottle of 100% agave tequila. And, because your recipient will never see the actual bottle, they'll never know how much you spent. Then, just combine the two together. A 750ml bottle of spirits is roughly 24 oz., so you can make four 6 0z. portions from one bottle. 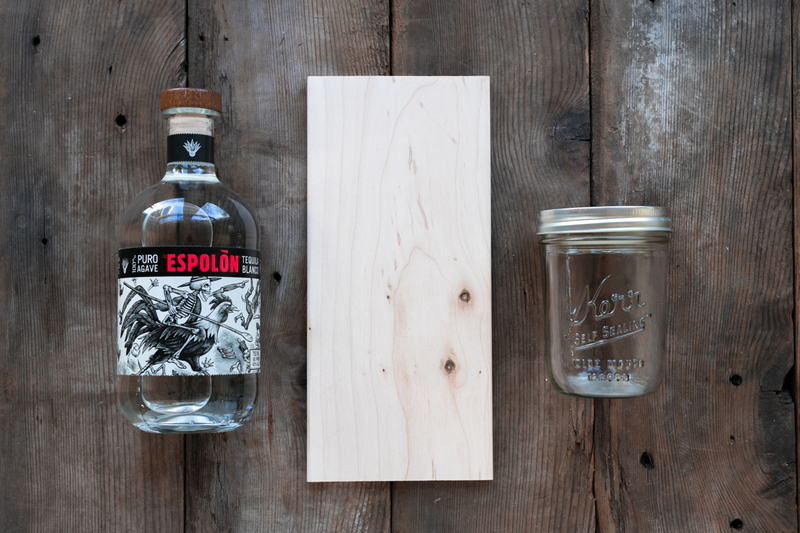 The wood will float, and you want to make sure you close the container tightly so the alcohol doesn't evaporate. A pint mason jar is perfect. 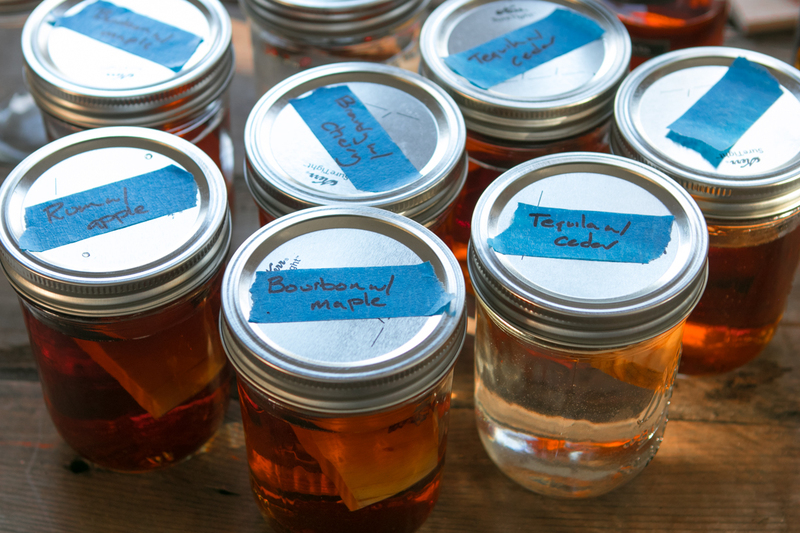 If you only go with one wood and want to try multiple spirits, we recommend maple or apple, since its flavor is neutral and goes well with everything. Then, put it in a cool, dark place for at least two days. After that, start tasting it to see what you think. Leaving it in longer certainly won't hurt, but make sure you're getting the effect you want. Once it's mature, remove the wood and let it air dry. Then, you can attach it to the jar, and they can reuse it on the grill to impart subtle flavor. Plus, it makes a nicer presentation than just handing someone a mason jar with liquid in it. 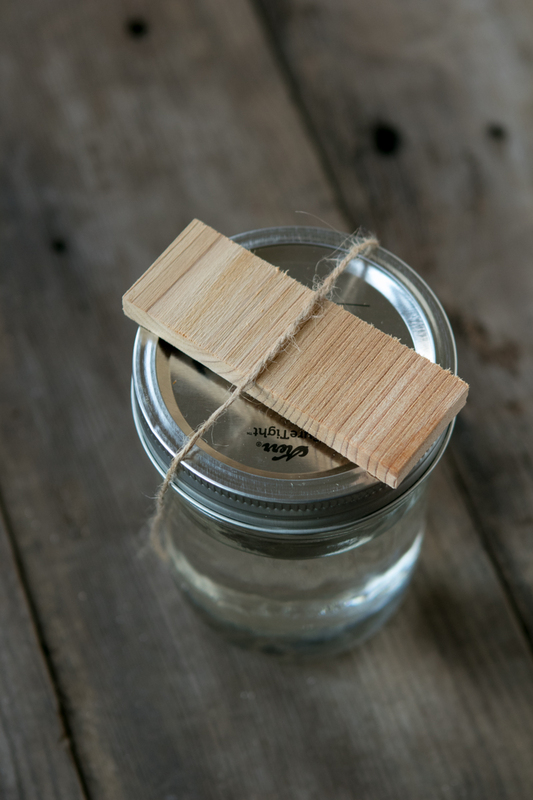 If you're fancy, you can make up little labels, too, or write "Maple-Infused Bourbon" on the wood itself, drill a hole, and string it to the jar. Sure beats a fruitcake, right? @Dave - Good question. The reason is: I wasn't going for a "barrel-aged" flavor here, but rather, a wood infused one. You certainly could toast the wood or char it with a blowtorch or kitchen stove. If you try it, please share the results. Why did you choose NOT to char the wood? @Hazel - yeah, of course. As long as you taste things regularly to see how the flavors are developing, you can make these in as big of a batch as you want! 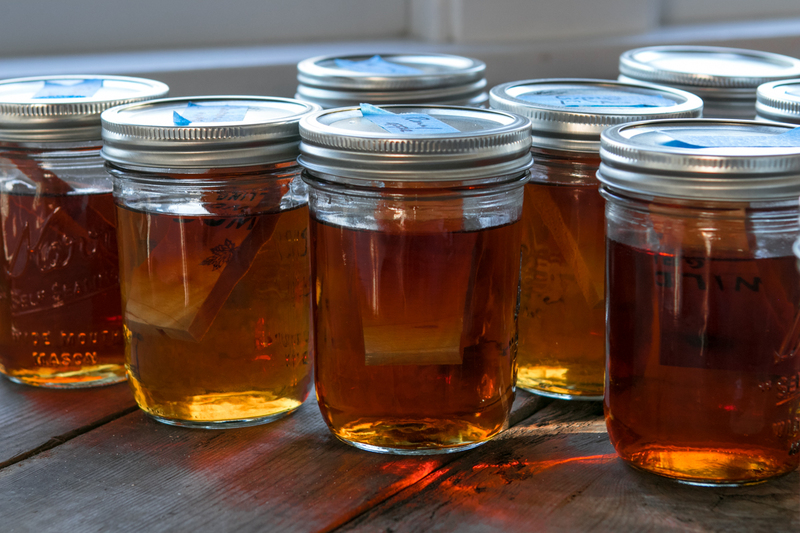 Could the wood infused drinks be made in bulk for an "on-tap" wedding bar?